One thing that “military vehicle” games like World of Tanks and War Thunder seem to be lacking is any kind of suitable PvE mode outside of tutorials. 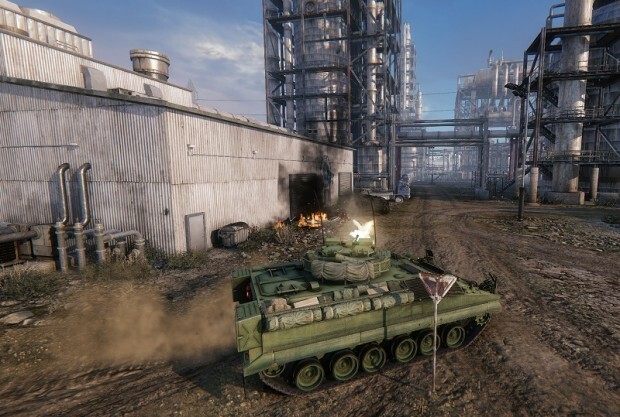 Obsidian Entertainment is looking to change that with Armored Warfare, introducing PvE missions that don’t just exist for the sake of practice but might be pretty entertaining even for veteran players. The only thing we’re a little sad to hear is that there’s no respawning, which means that if you get knocked out early, the best you can do is watch — or, in a PUG, you’ll probably just leave. Hopefully, that won’t lead to much toxic behavior when someone is perceived as doing something “stupid,” but we probably shouldn’t hold our breath on that count. What do you think of Armored Warfare’s PvE reveal? The Ground Forces is still a bit new to have any of the PvE elements that planes do in War Thunder. Seeing as how the planes part has quite a nice amount of PvE missions it goes to reason once its more fleshed out the tanks will get their own. War Thunder has pve campaigns. They take after after single player game missions and not the reward-focused grindathon “missions” of most online games but they are still pve. I think it’s a good thing when your not feeling up to PvP you can head over to some PvE and have fun. At the same time I feel having only one life could add to people being really rude – but we will have to wait and see. I watched a demo of their PVE, they said that PVE will have respawns whilst PVP will retain the one life system.